What Can TripMate Titan Do For You? Instantly convert a wired network to wireless to create your own secure Wi-Fi network. TripMate Titan transfers files between multiple USB hard drives and your devices (phone/tablet/computer) to free much more space up for your devices. 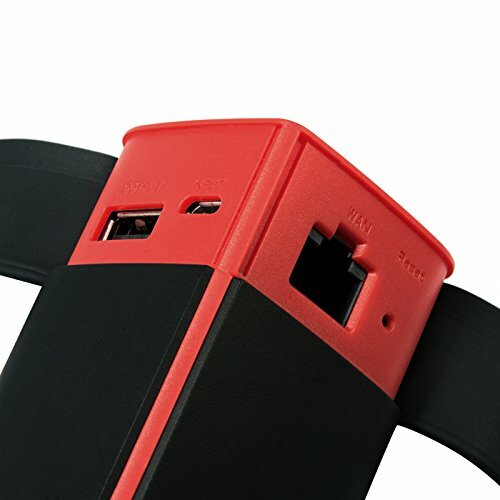 It can support USB card reader, USD flash drive, HDD and so on which means you can use this USB hard drives to transfer your document/photos/videos between SD Card, HDD, and your devices (phone/tablet/computer). You don't need to take your computer anymore when traveling. Built-in 10400mAh power bank (5V/2.1A) enables you to charge your iPhone or smartphone up to 3 times. Please use the latest app: HooToo TripMate Plus. Note: It cannot be compatible with Xfinity Hot Spot. 6 ) Cannot bridge an iPhone hotspot. 7 ) Cannot stream the media purchased from iTunes except DRM free medias due to digital rights management policy. 8 ) Due to the limitation of the Apple iOS system, you can ONLY access the Photos folder on your iPad/iPhone; Filehub is currently unable to sync with media files stored in iTunes to USB storage devices due to digital rights management (DRM). 9 ) Does not work with Mac formatted hard drive. 10）Up to 5 mobile devices can connect simultaneously allowing you to stream media from the SD or USB drives, or you can directly share files between two different storage devices. 11）As a portable router, you can turn any wired network and make it wireless, or connect it via a DSL or cable modem and it will act as a regular router. Upgraded Chip & External Battery Packs: Built-in 10400mAh power bank (5V/2.1A) enables you to charge your iPhone or smartphone up to 3 times. Please use the latest app: HooToo TripMate Plus. Note: It cannot be compatible with Xfinity Hot Spot.